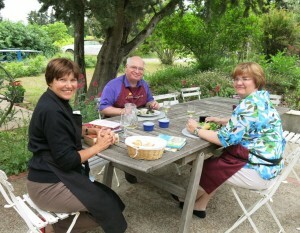 You were so kind and we cannot thank you enough for hosting us on our wonderful trip to Provence. We are still talking to our family and friends about our wonderful vacation in Provence. 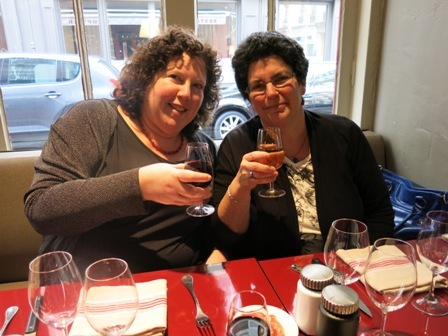 Paris in mid January has the potential to be cold, dreary and grey, but thanks to Yvan and Francetaste, it was a warm and inviting place to be. Yvan took great care of my cousin and I, touring us through patisseries, bakeries, chocolateries and of course, wine shops. We got to go behind-the scenes to see how croissants are made and participated in a cooking class. Yvan selected restaurants that offered ambiance but were not ostentatious and the food was exceptional. We ate waaayyy too much but enjoyed every morsel. An excellent way to get a true “taste” of Paris. My cousin and I shared an amazing 4 days in Paris. Our time was limited, so Yvan masterfully edited the days just for us. Our days with Yvan were special and perfect in every way. He took care of everything – beyond expectation, no expense spared. Each experience was well planned and chosen to delight and educate. 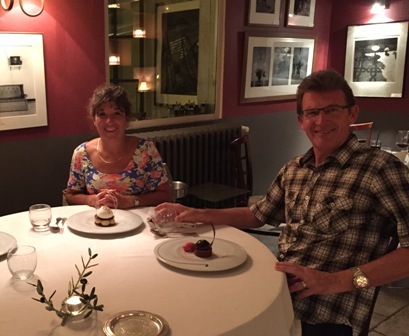 We shared wonderful meals at both trendy and traditional bistrot . 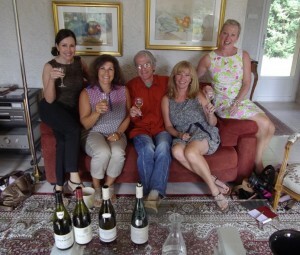 An entire evening with the proprietor of a wine shop specializing in the wines of Bourgogne. A morning with the owner/manager of an outstanding neighborhood patisserie meeting the bakers and seeing what they do so well. 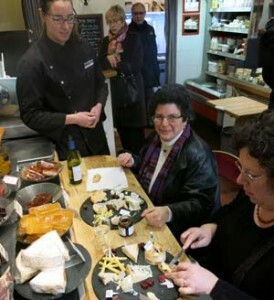 An incredible cheese shop specializing in raw milk cheeses. 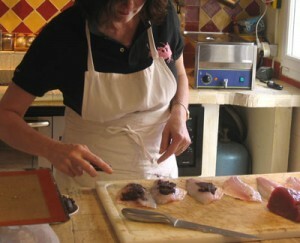 Plus more tours, markets, and a cooking class. Best of all, were the fabulous people we met. Each and every one so passionate and engaged in their specialty. They happily shared their knowledge and stories. I am so grateful for these one of a kind experiences. My husband and I look forward to engaging Yvan for other tours in the years ahead. 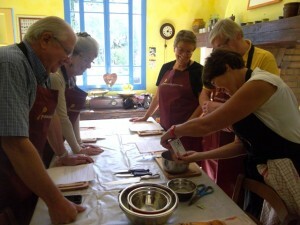 Provence Tour 1: Heart and Stomach of La Provence – an unforgettable experience! You gave an opportunity for Eva and Antti from Finland and for us, Barbra and Mark from Canada, to join each other for a week of culture and food that we all enjoy as enriching experiences. Our standards have always been very high in this regard and would one know it, you surpassed them. Your tour was magnificently constructed to give us the flavor of local history, culture and behaviors while pampering us with excellent local wines and cuisine, sprinkled with dishes that rate the best in our taste experiences ever. The heart and stomach of La Provence. Your friendly way of taking us through it all was beyond words, and on top of it all, you placed us under the care of Sylviane and Claude of Le Moulin Vieux, who served us great breakfasts and more insights to the life in La Provence – Sylviane even cooked us a traditional Ratatouille the night before we left to return to our homes. You need to be very proud of achieving this rare balance of friendliness, people, culture and food into a single tour. Congratulations! Mark Toivanen. These are our thoughts of the 5 days that we spend with Yvan Mas during our gastronomic tour of Provence. The tour was well planned and well executed; all of our expectations were fulfilled. We felt that there was good attention to detail, good time appreciation for each activity, and effective time management. Yvan was punctual and conducted the tour in a low key, unhurried, attentive, unimposing, unpretentious, warm and friendly manner; just what we were looking for. Yvan easily adapted the tour to respond to our modest requests. The choice of B&B for our stay was impeccable; as we felt very much like family or close friends, and from arrival to departure, we could not have been made to feel more welcome. We were very pleased with the choice of restaurants, as there was good variety, excellent meals, regional specialties, and without exception – warm/friendly/welcoming service and atmosphere. All restaurants spoke some English, which was important for my wife. We found the wine touring and tasting experiences to be most enjoyable, as this catered to our particular needs and desires, and provided us with some new and exciting offerings, with the added benefit of not having to be concerned with driving after enjoying a bit of wine. The time spend with the oenologist was educational, friendly, and very enjoyable. Sightseeing hit all of the high points and made us feel that we had really seen the very best of Provence, at a comfortable and unhurried pace without being draggy. We both remarked several times (to each other) that we would not have found these gems on our own without exhaustive research, and perhaps not even then. Avignon, Cassis, Les Baux de Provence, as well as other treasures both on and off the beaten path, were worth every minute of the visit. Whether the interest was historical, architectural, oenological, cultural, gastronomic, artistic, regional tourism, or something else, Yvan seemed to be able to provide insightful information and useful facts, without going overboard. There were tasteful and eclectic shops, exciting and sumptuous regional delicacies, amazing sites, a good mix of fine and casual dining, local insights, and last but certainly not least, some excellent wines. There seemed to be something to please a wide variety of discerning interests. All in all, we enjoyed the very best of Provence, making it tempting to return for another vacation. Yvan’s unobtrusive but attentive style/manner was instrumental in making this “our” cherished visit or experience in Provence rather than having “participated” in a tour of Provence. This was our second trip with Yvan and, as before, we had a totally marvelous time. Yvan and his wife, plan these tours with much due diligence. There is simply nothing to do but relax and enjoy. You are not only well taken care of by Yvan but the experiences he prepares for you are often “off-the-beaten”path. We will never forget our picnic in the shadow of Cezanne’s Mt. Sainte Victoire. Not only was the food totally and utterly amazing — country pates and breads, fresh fruit, unreal cheese, pastries and wine — and the ambience was priceless. The part of Provence we explored is not the part of Provence with which I am familiar, having spent many days closer to the Cote d’Azur. The landscape was quite lovely and remarkable. Many pinch yourself moments. The owners of the hotel where we stayed, Chef Pierre and his wife, Annie, were charming hosts. Their old manse is full of character. Lovely people. We dined at fabulous restaurants. At least one, maybe two, had Michelin stars. Chef Pierre cooked for us one evening — and we cooked lunch with him one day and then sat outdoors and enjoyed it — for several hours. Yvan always delivers you for your reservations and then discretely disappears — then magically appears — in time to drive you home. He prepays for everything. You just go in and order from the menu. Yuki often picks the wines. She is a oenologist. I have had many people ask me about my trip.. and I can only answer that it was fabulous beyond anything I ever expected! And that of course is attributable to you. I have given many people your website and highly encouraged that they contact you. 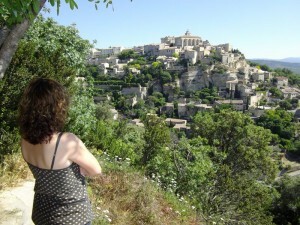 Kari, Pippa and I had so much fun in Provence … I really hated to leave. You gave me a whole new viewpoint on the importance of simple, elegant and fresh food.. and of course the wine. Thank you. I want to thank you again for our unforgettable days in Provence. Your insider’s knowledge gave us five days packed with sights, tastes and experiences we never could have discovered or arranged on our own. 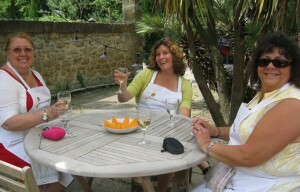 Plus you were an absolute delight to be with– truly charming guides and hosts. I never want to plan my own trip again. Tell me where you’re going next and I’ll be there! My husband and i have travelled quite a bit and experienced wonderful things but this trip was the best. a trip of a lifetime. I will never forget it.